An all-too-common mistake that I've encountered over the years is taking acetaminophen (Tylenol) to address muscular and ligamentous strains and sprains. If you take an appropriate dose of acetaminophen to relieve pain associated with a soft tissue injury, you'll likely be fine as long as you prioritize resting your body and not aggravating the injured area. If, however, you take acetaminophen as a temporary fix to allow you to continue to use the injured area, you stand a good chance of worsening your injury and even creating a chronically weak link in your body. Acetaminophen primarily decreases registration of pain in your brain. 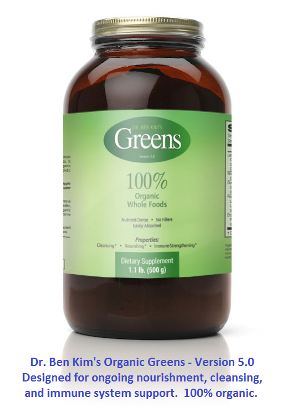 It doesn't decrease inflammation outside of your central nervous system (brain and spinal cord). So if you continue to burden injured tissues while taking acetaminophen to numb your senses, you will almost certainly prolong recovery time and possibly cause long term damage. If complete rest is not possible and you absolutely must use an injured body part to some degree, the better choice is any over-the-counter pain medication that actually decreases inflammation throughout your body. Examples of pain killers that have system-wide anti-inflammatory properties are ibuprofen (Advil, Motrin), naproxen (Aleve), and aspirin (Bayer, Bufferin). But even with intake of any of these anti-inflammatory drugs, it's best that you take the lowest possible dose and do all you can to rest until the injured area is fully healed. Inflammation is a process that you want to proceed in full force after experiencing any soft tissue injury. Inflammation attracts blood, nutrients, white blood cells, and several natural chemicals that work together to repair injured tissues one cell at a time. If you deny injured tissues a full bout of inflammation, it's quite possible that the tissues won't return to full strength, especially if they've been injured before. Which is to say that by suppressing inflammation, you predispose an injured area to further injury. When this principle is repeatedly ignored, the result is reduced strength and flexibility for the long term. This is why I don't typically recommend using ice to decrease inflammation in most cases of acute muscular or ligamentous injury. But generally, it is best to rely on rest and the process of inflammation to heal an injured area. Ice or any other type of cryotherapy will always impede the health-promoting effects of inflammation to some degree - not a conventional thought, I know, but this is what makes sense to me and I've repeatedly found this principle to hold true in managing acute soft tissue injuries. Please note that inflammation that occurs as as result of a muscular or ligamentous injury is quite different in nature from chronic inflammation that is caused by dietary and environmental factors - more on this in a future post. Ibuprofen decreases inflammation throughout your body by minimizing the production of prostaglandins. Acetaminophen primarily decreases registration of pain in your brain. It doesn't work to decrease inflammation throughout your body, so it won't do anything for sprains, strains, or arthritis, though it may temporarily ease your discomfort. Naproxen works body-wide to decrease inflammation, and ounce for ounce, produces longer lasting effects than any other class of over-the-counter pain killers. Aspirin decreases pain, inflammation, and clot formation throughout your body. It's tougher on the esophagus and stomach than most other over-the-counter pain meds. Because of its effect on blood coagulation, it shouldn't be taken in conjunction with other drugs that affect bleeding time (without instruction from your physician). When used in children who are experiencing a viral infection, aspirin may precipitate Reye's Syndrome, a potentially fatal condition. Most interesting article. Doctors have always disapproved of my anti-ice stance when it comes to treating stains and sprains. I've tried to explain to them that ice causes shrinkage, and by applying ice to an injury you decrease blood flow to the area impeding the healing process. Depending upon the nature of the injury, I have used poultices containing various herbs or vegetables, fruit and even honey, and I've seen some amazing results. The only thing I find ice good for is keeping food cold. I have heard that taking these over-the-counter pain relievers has had much worse effects, such as ibuprofen causing GI bleeding and chronic inflammation problems with long term use. I recall reading in my books on Traditional/classical Chinese medicine that injuries such as the ones your article deals with should not be treated with ice or cold water, but rather, HEAT. It could be in the form of moxa or heating pad. The author of one of these books describes a rather awful injury of her own that was quickly & successfully dealt with in this way. Whereas soft tissue injuries treated with ice take much, much longer to heal. Good ol' Oriental Medicine! We have much to learn. Thanks for your article about the various painkillers. i have been reading about how athletes use ice baths with great results. i have read that that body over reacts and that is why anti-inflammatory meds are needed. 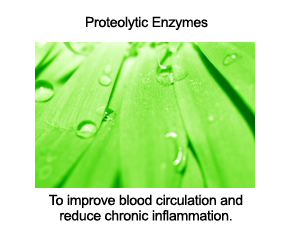 i take something similar to your proteolytic enzymes. i did not ice and take meds for a couple back injuries and now i have shortened lower back and hamstrings and scar tissue on my back. Shortened hamstrings (and all muscle/ligament shrinkage is easily addressed with an extensive stretching program. Scar tissue is formed during the healing process. If you work the area that is healing during its healing, the scar tissue will form where it is needed and won't interfere with the normal movement of the area. If you don't work/exercise the area while healing, scar tissue forms without muscle direction and can grow to inhibit movement. Once scar tissue has been fully formed, it can't be realigned, and would need to be broken up by specialized massage techniques, which lift the muscles apart, breaking up the scar tissue... a painful, but effective process. My dad has chronic back pain for which he takes prescription (anti-inflammatory) medication. Thank you for noting the body's "swell" reaction as being beneficial. Looking forward to your upcoming post on dietary and environmental factors of inflammation. Excellent article as always! Thank you! I'm amazed and satisfied when I read or hear what I think and feel about my body and general health. That you for righting what I think is truth.